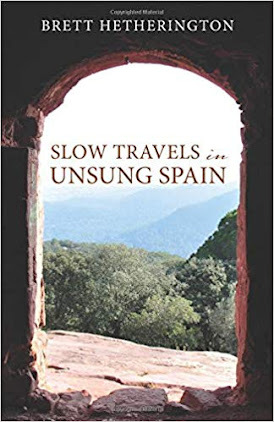 Standing in a Spanish Doorway: My latest article in Catalonia Today magazine: "Slow life in Catalonia"
My latest article in Catalonia Today magazine: "Slow life in Catalonia"
Time. It is the one thing that many of us feel like we don’t have enough of. Generally, we move through our lives at a rapid pace with mobile phones permanently on and our attention fixed on work and earning a living. But in Catalonia, just as in other parts of the planet, there is an increasing number of people who are trying to reject a hectic ultra-modern lifestyle. They want to experience things in an unhurried way and the international Slow Movement is now helping that to happen. But what exactly is a Slow Town? To achieve the status of “Slow Town,” the town council must agree to accept the guidelines of Slow Food and work to “improve conviviality and conserve the local environment.” It first has to pay 600.00 euros to the Cittaslow central office. Apart from the continuing promotion of Slow Food restaurants and suppliers, some programs already implemented in Slow Towns include recycling projects, after-school programs, and the provision of information for tourists that helps them have a genuine “local’s” experience. For general public use in festivals for example, town councils can also buy Cittaslow biodegradable pulp plates and cutlery made from cellulose, while in their offices using approved recycled paper notepads. Last year Carlo Petrini, the founder and President of Slow Food International spoke at the United Nations Permanent Forum on Indigenous Issues. As the first ever outside speaker to be invited to address the floor in the this forum's ten-year history he gave Slow Food's perspective during a session on the right to food and food sovereignty. How long might it be before a Catalan from one of the many Slow movements does the same? An edited version of the text above was first published in Catalonia Today magazine in February, 2013. Corruption - or just "the way we do things here"? Barcelona and "The Human Brain Project"